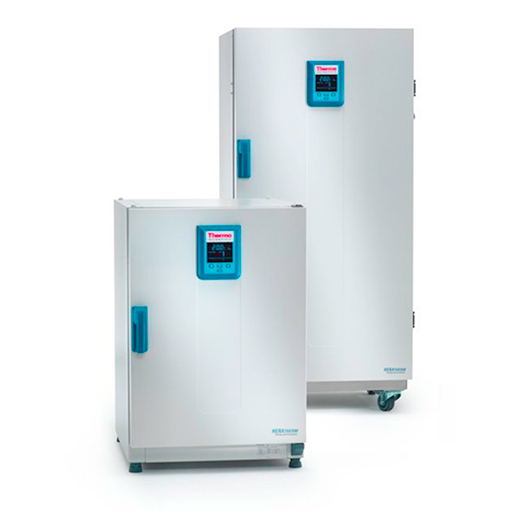 Achieve untapped potential in incubation with the temperature precision you need for applications that demand it. * Depth of handle/display not included in depth (65 mm/2.6 in. ); adjustable feet not included in height (35 mm/1.4 in.) – required distance to rear wall: 130 mm/5.1 in. ** Depth of handle/display not included in depth (65 mm/2.6 in. ); casters not included in height (180 mm/7.1 in.) – required distance to rear wall: 150mm/5.9in. *** All figures in this table are typical average values for series devices, based on factory standard following norm DIN12880. Please contact us for certification information or IQ/OQ documents.